If you are setting up this Command Prompt so that you can troubleshoot an issue with AlwaysUp, you probably don't want it to start automatically when your PC boots. If that is the case, choose to start Manually, from AlwaysUp from the Start the application: drop down menu. In the Name field, enter a name for this application in AlwaysUp. We have used cmd, the default. 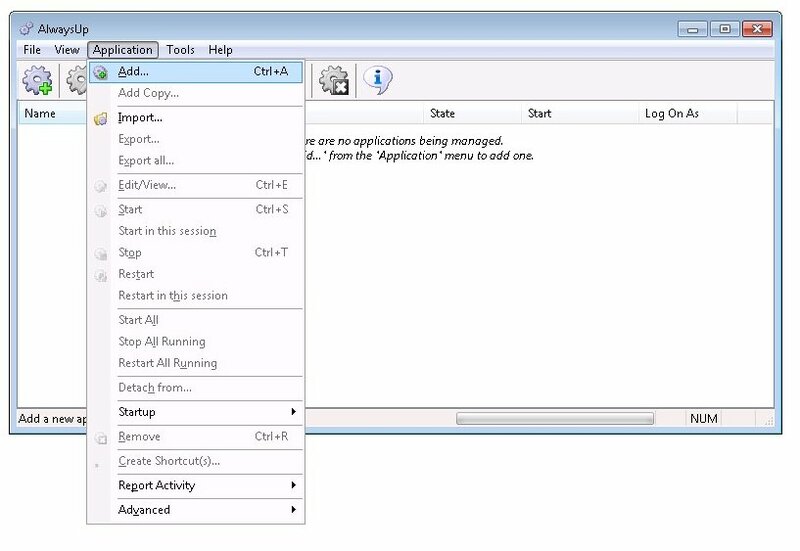 If you want the Command Prompt to run in the context of a user account, then click over to the LogOn tab and enter a username and password. 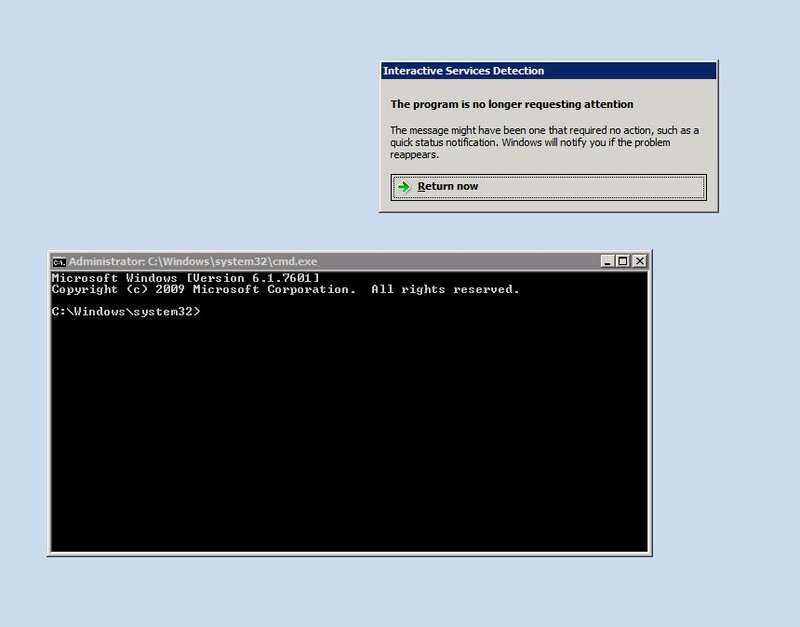 The Command Prompt will run in the LocalSystem account if nothing is specified on that tab. Click the Save >> button. 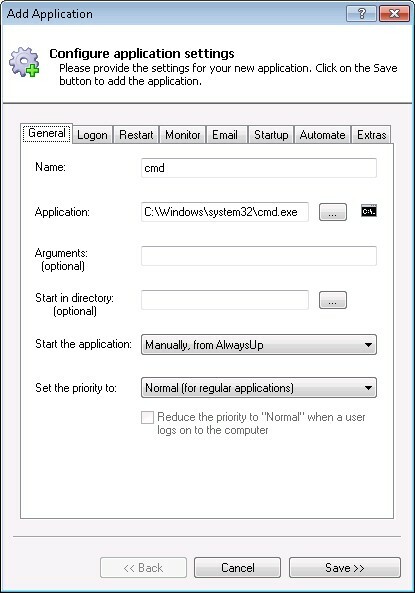 In a couple of seconds, an application called Command Prompt will show up in the AlwaysUp window. It is not yet running though. 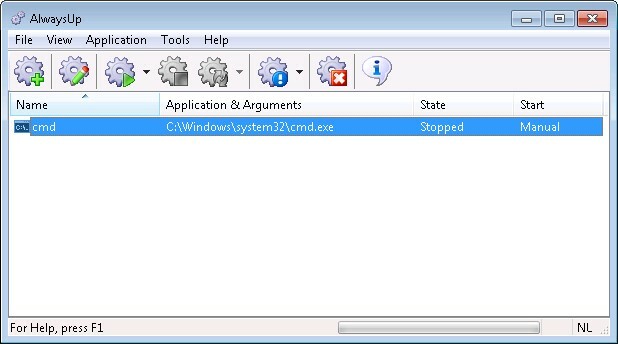 To start the Command Prompt, choose Application > Start "cmd". 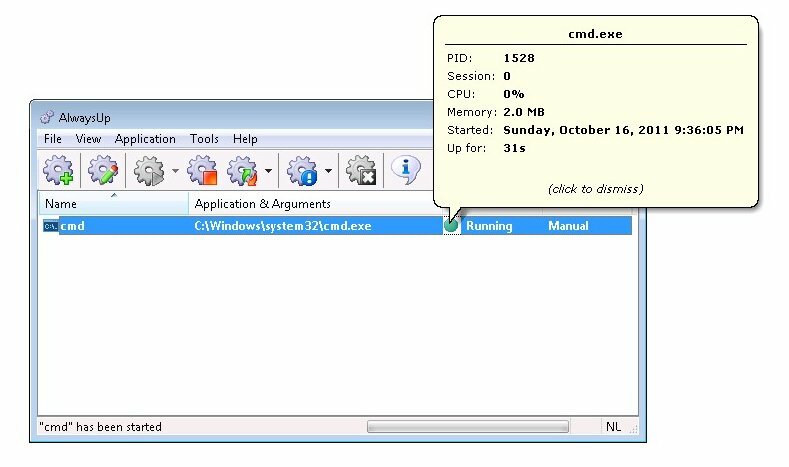 Note that you can always select Application > Start "cmd" in this session to have the Command Prompt started on your desktop. Command Prompt not working properly as a Windows Service?